Let's celebrate our pets! 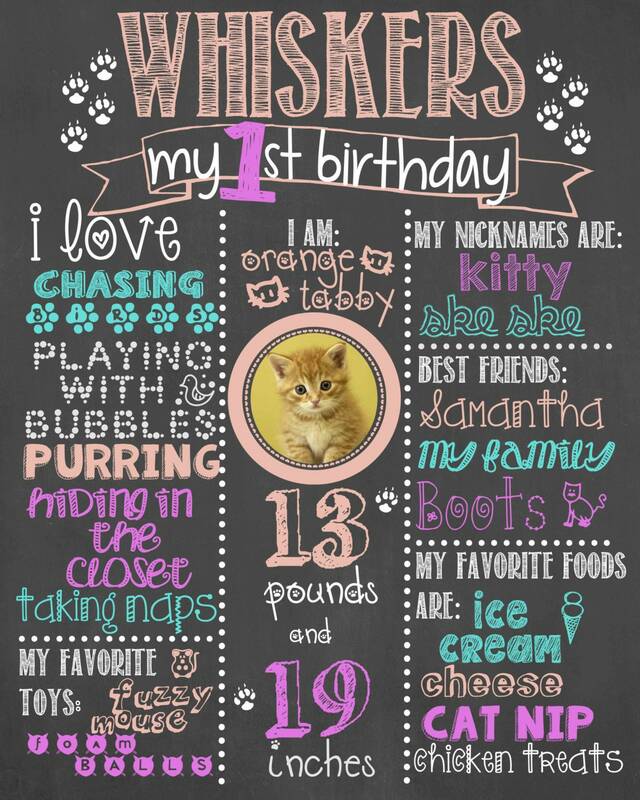 This board is great for animal parties as well as a photo prop! This listing is for a DIGITAL file in jpeg format. The size recommendations for this design is 16x20. If you have another size preference, please select that size. Please read the entire listing before purchasing. 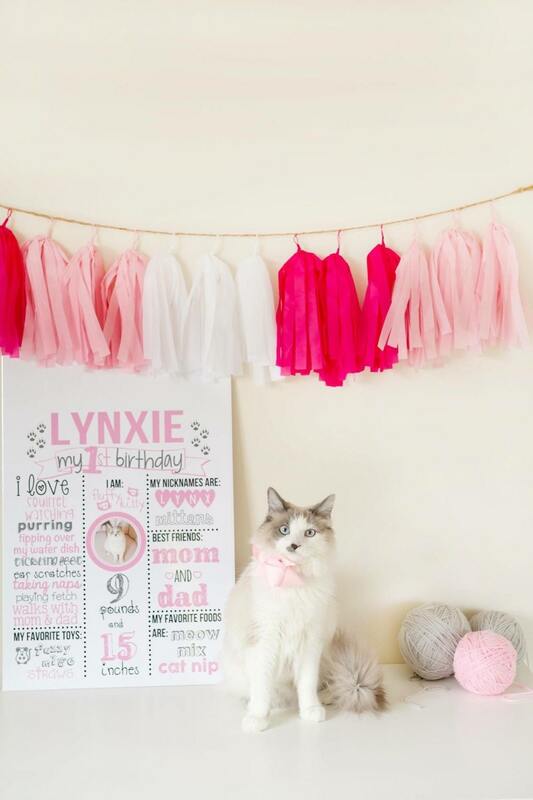 *For larger boards (sizes 20x30 and up, you have the option to add the 'I can' section of things your cat can do (up to 4) or 'My special trick is' if you cat has one. Please include one category or the other if you so choose. These categories can also be swapped on smaller boards for other categories. Colors and font styles are customizable!! !